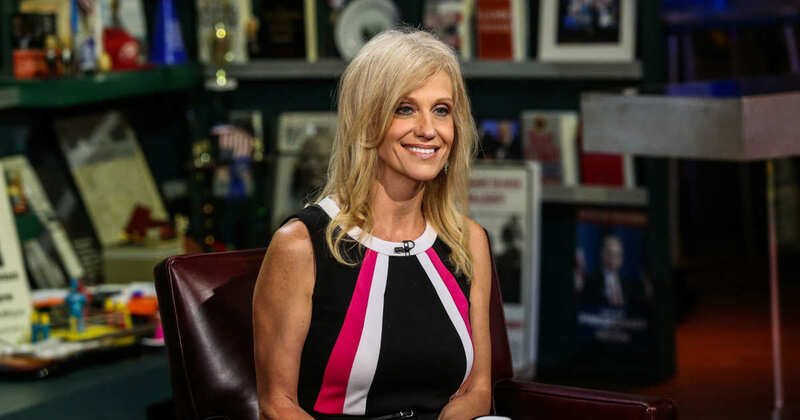 Top Donald Trump aide Kellyanne Conway on Monday morning defended Trump’s 2015 campaign appearance during which he appeared to mock a disabled reporter. Is it time to enlist W? He was able to see into Putin’s soul. So, essentially what she is saying is that he doesn’t mean what he says and we should interpret everything that comes out of his mouth in the most favorable way imaginable? Well, that’s fair…er, wait, no, no it is not. Every president in history was held accountable for his words. Words cause wars. Foreign actors are not going to take the time to “look into his heart” for deeper meaning. They will go with the first utterance/Tweet and react to that. Why not just say, “He doesn’t have a clue as to what he’s talking about, so just ignore everything the crazy man says.” Because, really, that’s what she’s saying. I don’t know about focusing on what is “in his heart”, I do know about focusing on the reality of what he said, and how he said it though. After watching several videos of Trump ,in context, doing the same thing describing other people, I am now thoroughly convinced that he wasn’t mocking the reporter’s disability. Check out the other times Trump has used those same hand gestures and quirky mannerisms while describing people in the same context of “back tracking” or being “flustered” or “floundering”. I don’t think Trump even knew that the reporter had a disability at that point. I’ll give Meryl Streep a pass because she lives in a bubble far removed from reality, but for the media, and others who keep running with this “fake news” story, all I can say is that they are being intellectually dishonest if they in fact have seen the other examples of Trump doing the same thing describing numerous fully able-bodied people. The fact that media outlets are using still clips of trumps hand gestures at the moment where they look the most disabled, and not adding any other context other than he’s mocking a disabled person, is quite telling in itself. Let me get this straight. You’re saying that it’s okay because Trump acts like a preschooler all the time? That seems like a winning argument. Is there a reason you guys always put forth false equivalencies? Do you really think that because you can find video of other people behaving badly that that gives your bad behavior a pass? I thought I was done raising children. Mine knew not to try this nonsense by the age of 6. The bottom line is that, as a candidate for President of the United States and as President Elect, he should not be making an “mocking” gestures. This is a serious office that governs all people, not just those who agree with him. If he continues to categorize people as winners and losers and mock those who disagree with him, he puts our government and our national interests in a dangerous position. Furthermore, trying to rationalize or normalize these types of actions is equally as dangerous, because it leads to their acceptance and practice. This is not acceptable in elementary school, much lest the highest office in the land by the most powerful person in the world. While those of us on the left did not agree and have opposed many of George W. Bush’s policies and actions; his character as a human being and the way he handled himself as President with respect to his demeanor have never been argued. Trump, however, can never be the example, or the leader that is needed here and in the world as a whole if he keeps acting like a school yard bully with low self esteem and a score to settle. Let’s not deflect the fact that he has a despicable character by bringing up nuanced arguments that the media, the entertainment industry, or the liberals are skewing the story, or have “done the same thing themselves.” Everyone, particularly Trump’s supporters and the GOP, needs to understand that the man who won the White House is not a good man, does not have our best interests at heart, and does not represent the values and character of the broad electorate. He is an anomaly that will hopefully be corrected with mid-term elections in two, and the presidential election in four years. Until then, take the advice that so many conservatives keep giving about “telling like it is” and recognize what Trump says and does is wrong, and stop trying to rationalize it. He may act like a preschooler, pandora, but why are major media outlets still running with the false narrative that Trump mocked a reporter’s disability? It isn’t a false narrative. He did mock a disabled reporter. You know, there are things that you can do and say every day that when said to someone outside your group can hit a nerve. The use of the word “boy” comes to mind. And this… “He may act like a preschooler”… really shouldn’t be put forth as some sort of a defense. Why are you accepting this behavior? Why are you brushing it off? It’s not an equivalency if the guy never did it to begin with. Comparing President Elect Trump to Larry David is the false equivalency. First, you assume that I’ll defend Larry David (I won’t), and second, you assume that a comedian/actor’s behavior should be held to the same standard as the President Elect. You seem to want me to okay Trump’s bad behavior because someone else did the same bad behavior. Like I said, my kids learned not to pull this nonsense at age 6. While those of us on the left did not agree and have opposed many of George W. Bush’s policies and actions; his character as a human being and the way he handled himself as President with respect to his demeanor have never been argued. LOL.. Come on. You’re joking right. The left have been questioning the demeanor of Republican presidents since I can remember….smirking chimp, cowboy, and the list goes on and on. That’s not questioning demeanor. Those are childish insults. Again, “they do it too,” is not a valid argument. I’m sorry, how did he never do it? Just saying it over and over doesn’t make is so. We are witnessing fake news in action. Trump mocked a disabled reporter. He did that. Yes, he mocked a reporter who happened to be disabled, but he didn’t mock the reporters disability….Big difference. That is a foolish argument that you cannot win. What he “happened” to be is every bit as relevant to how he was mocked. Again, Trump, as a candidate for the presidency, should never have mocked anyone. It serves no point and your argument is hollow. You have no idea what he intended. You’re doing what Kelly Ann Conway said we should do – look into his heart. Let’s look at what Trump said during his arm flailing mockery of the reporter, shall we? Why does Trump refer to the reporter as “the poor guy”? Why does he say, “you ought to see this guy”? Why do we need to see this “poor guy”? What will we see? Like the post says… Words Matter. That’s a very compelling argument when combined with your snippet, pandora, but you can equally surmise that the reporter was being called “the poor guy” because he was stuck in a position where he was struggling to backtrack on his inaccurate reporting. The context of that particular incident compared with the way Trump describes other people who were struggling in a similar context, is consistent and does not show that he was mocking one particular person differently than the others. I will admit that it was an unfortunate coincidence that the reporter was ,in fact, physically disabled. Example please. You have yet to prove that this is a consistent practice of Trump’s. Let’s see it. “She (Clinton) was given the benefit of the doubt here (on CNN) constantly,” Conway said. I think everyone in here is capable using Google, D19703, but if you really need me to, I will get you started. First try typing in “Trump didn’t mock”, and go from there. Essentially, you are saying you have nothing and want me to find it for you? Gotcha. How about you give proof to your argument, because, you know, that’s how debating works. Throwing out that something can de found on Google is a lazy answer and does not prove your point. Trump supporters will continue to offer rationalizations, justifications and outright lies for his behavior. You need only to follow him on Twitter to see what a jackass he is, if you’re willing to be honest. I posted Trump’s words that accompanied his gestures, and FBH still spins. “She (Clinton) was given the benefit of the doubt here (on CNN)constantly,” Conway said. Trump is a quirky sort of strange dude, and those hand gestures, facial expressions, and comments are just one of the ways in which he portrays people who are backtracking, floundering, or are flustered. He’s animated, he flings his arms around, what can I say. He did it while describing Ted Cruz, and if you notice, he always complements the person while doing it. PS I know no one really needs me to transcribe the video comparisons for them. You guys were just screwing with me, right?